Can a Little Guy Battle the Gurus in the Game of Internet Marketing? 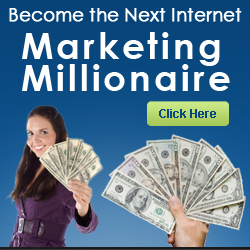 | Yenom Marketing Inc.
You are here: Home / Make Money Online / Can a Little Guy Battle the Gurus in the Game of Internet Marketing? Many newbie ‘net marketers believe that if one person is already successfully selling an information product on affiliate marketing, then there’s no room at the top, so they drop their dreams and return to the shackles of a 9-5 daily grind in corporate America (or elsewhere in the world). Is it possible for an unknown to break out onto the scene and become a hit based on what they know that’s better or different from what Big Guy Guru has to say? Of course it is. Read Can a Little Guy Battle the Gurus in the Game of Internet Marketing?